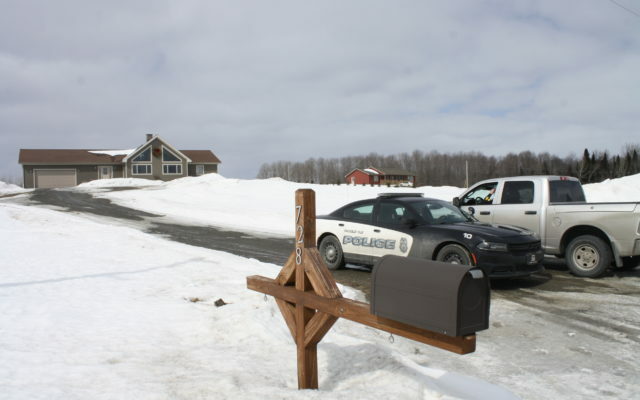 Police are investigating a murder-suicide Sunday following a standoff at a home on Reach Road in Presque Isle. A Presque Isle man killed a child before taking his own life following a standoff over the weekend. The names of the dead will not be released until autopsies have been completed Monday but the two are members of the same family, according to Stephen McCausland, spokesman for the Maine Department of Public Safety. Presque Isle police were called Saturday to 728 Reach Road in Presque Isle, McCausland said late Sunday afternoon. When officers went to the home, a standoff resulted. The Maine State Police Tactical Team and negotiators were also requested and arrived during the night, McCausland said. Early Sunday morning, members of the tactical team went into the house and found two bodies inside. The case is being treated as a domestic violence murder-suicide and there is no ongoing threat to the public, he said. The property’s owner is listed with the city of Presque Isle’s assessing department as Matthew S. Leavitt. To reach a suicide prevention hotline, call 888-568-1112 or 800-273-TALK (8255), or visit www.suicidepreventionlifeline.org.